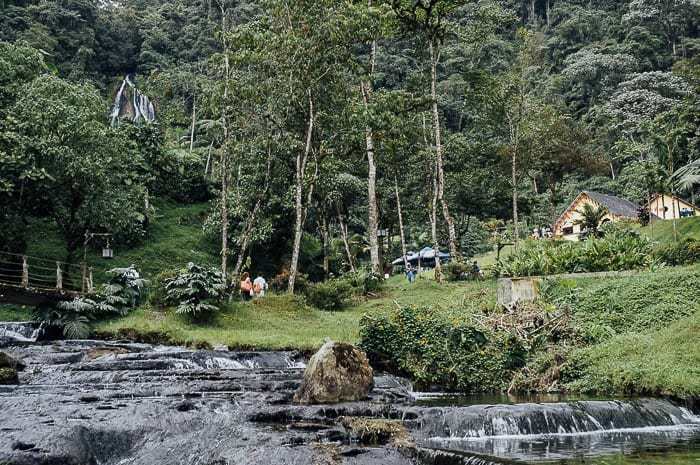 If you are planning to visit the coffee triangle of Colombia, then the Santa Rosa de Cabal hot springs are what I would consider a must visit, whether you are in Pereira, Manizales, or Armenia. 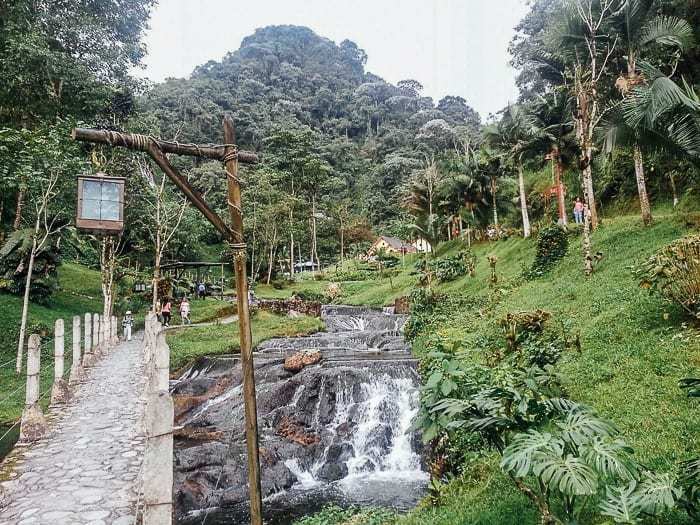 Andrea and I were looking for the perfect long-weekend getaway from Medellin, and the hot springs at the base of the Los Nevados mountains were calling our name. 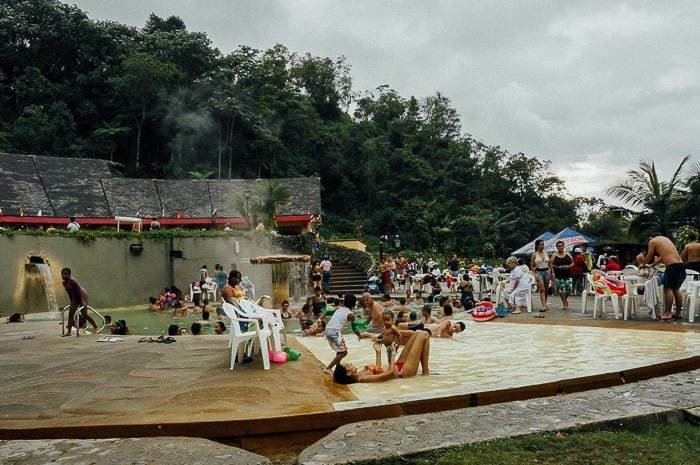 Just outside the small town of Santa Rosa de Cabal there are two different sets of ‘termales’ or hot springs. 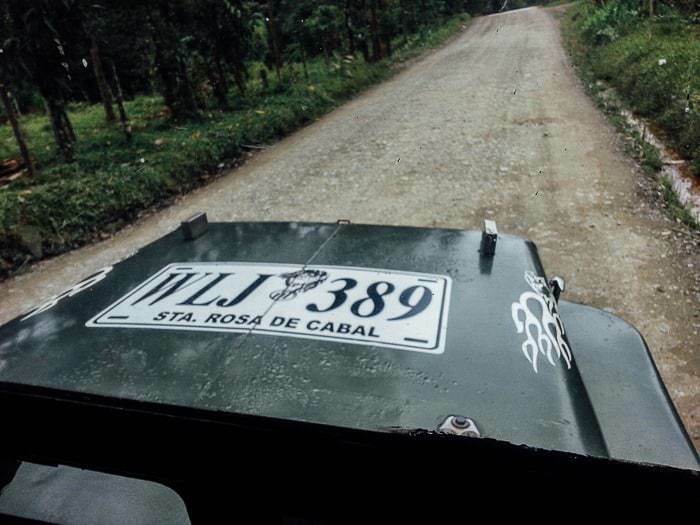 From the town we hopped into a shared jeep and made our way up the long and bumpy dirt road toward the springs. After a long bus ride from Medellin, we just wanted to find a place to lay our heads and found the cheap and decent Cabana El Portal. On the second floor they have modest rooms, below there is a restaurant, and they sell a few convenience items as well. We hiked down to the edge of a small stream that runs along the opposite side of the hotel and hung out along the water. The following morning, after a hearty breakfast at the restaurant on the first floor, we headed up the road to the hot springs. There are actually two different hot springs here — both are private with a paid entrance. 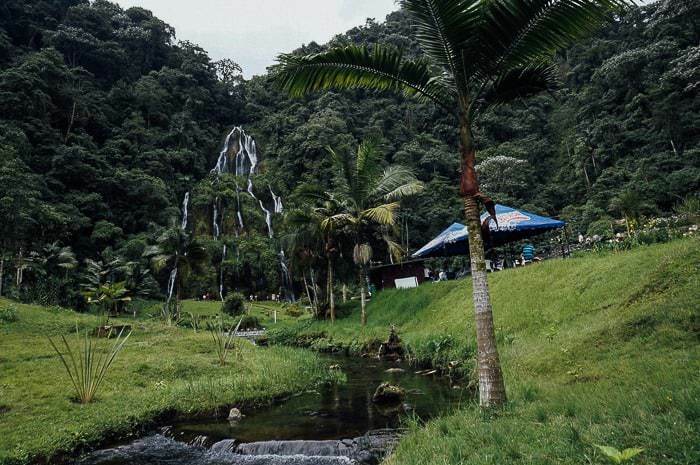 There is the Balneario Santa Rosa first and then a little further up the road is the Termales Santa Rosa de Cabal which is also the site of a fancy hotel. The Santa Rosa hot springs are cheaper (and thus more popular) than the other. While you would think that more expensive equals better, in this case, that dooesn’t seem to be true. From all the local recommendations and the photos I’ve seen online, Santa Rosa is the most scenic and beautiful. BUT if you’re looking for a more upscale hotel, or looking for less crowds, then you’re probably better off at the second hot springs. From our cheap cabana, it was a short walk to the Balneario Santa Rosa. 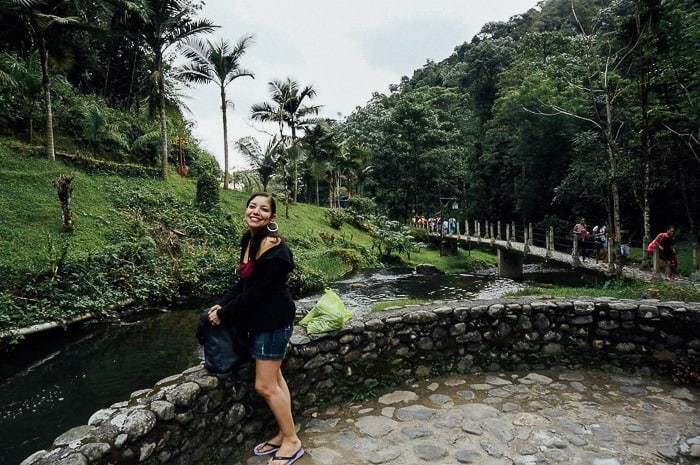 The entrance to the hot springs costs around 38,000 pesos ($12) for the day pass. 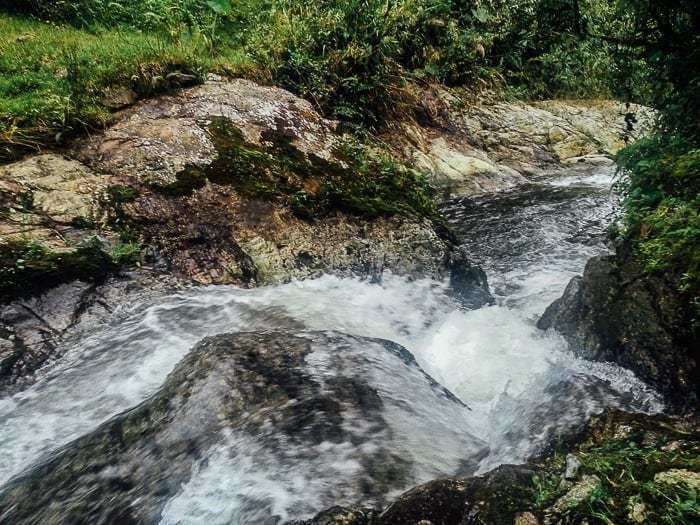 It’s a short hike uphill alongside a babbling stream until you reach the main area. 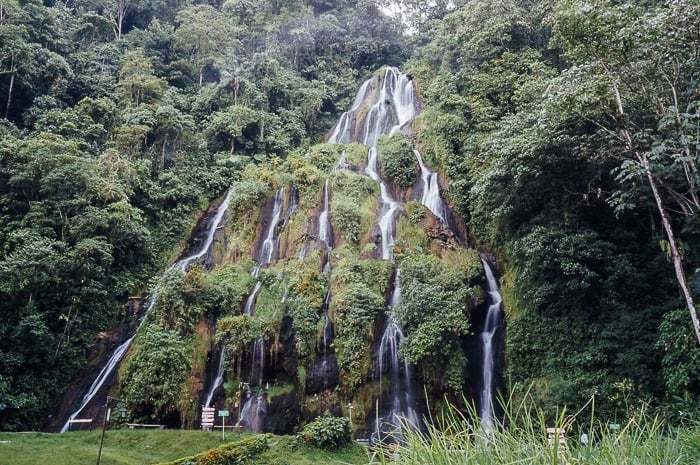 The centerpiece of the hot springs is the nearly 100 foot tall waterfall that cascades down the rocks along the waters edge. There are a few different pools of varying temperatures, and a number of water features. The space is expansive and the setting is absolutely gorgeous. Inside you will also find a restaurant or cafe with drinks. Basically you can plan to spend a full day hanging out in the various pools, eating lunch or dinner at the restaurant and just relaxing in the hot mineral water pools. 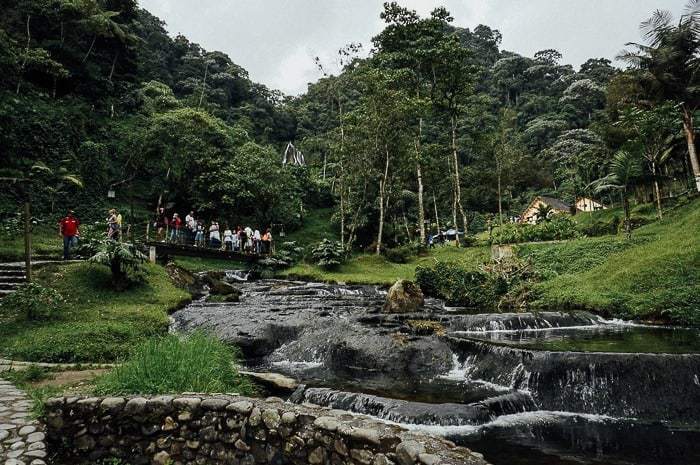 The area is famous for some of the best chorizos in all of Colombia, so be sure to give those delicious sausages a try as well! If you go during a three-day weekend, you can expect to see lots of people. By early evening, the pools were beginning to fill up with people, but it was still fun. Amazingly the pools don’t close until 11:30 at night, so you can hang out in the dark (the sun sets at 6:30). Santa Rosa de Cabal is definitely worth the visit. I would recommend two nights in the area, allowing one full day just for the thermal pools. 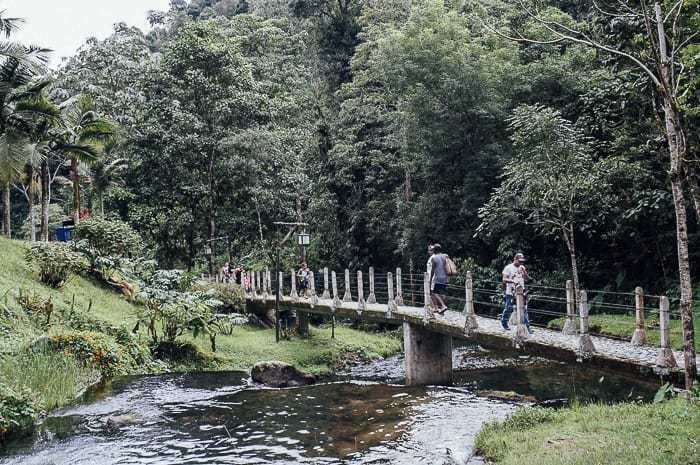 The easiest way to get there is by bus to Pereira, then ask for the small city buses to the Santa Rosa de Cabal hot springs and someone will point you in the right direction. 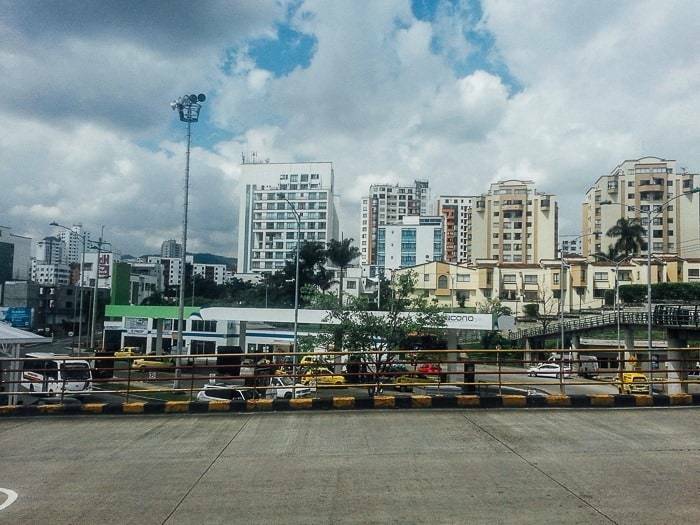 You can also make the visit from Armenia or Manizales, and don’t miss out on the chance to visit Salento nearby. From there it is a short walk to the shared jeeps that will take you out to the hot springs. 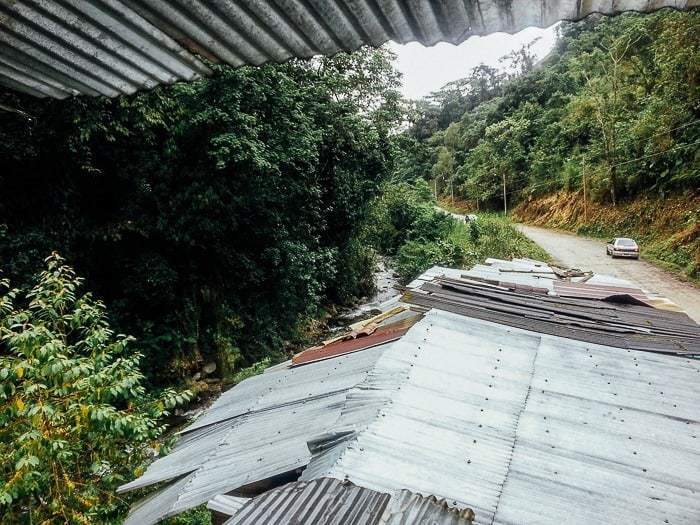 If you like you can stay in the town of Santa Rosa de Cabal, but it’s pretty nice staying in one of the little places out on the dirt road that leads to the hot springs. There are a number of hospedajes. If you’re going on a holiday weekend, you might want to make reservations in advance. 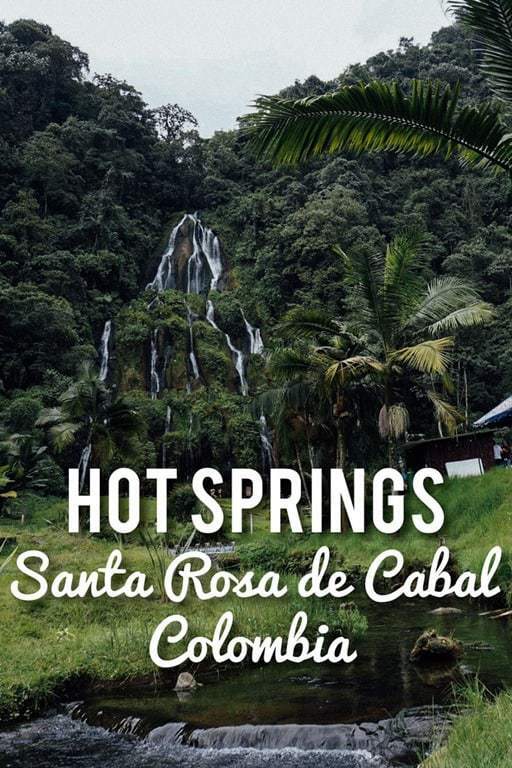 Traveling to the Santa Rosa de Cabal hot springs on your next trip? Book the perfect room on Booking.com today!